This downloadable handout is intended for elementary school students at Beginner (pre-A1), Elementary (A1) and Pre-intermediate (A2) level. 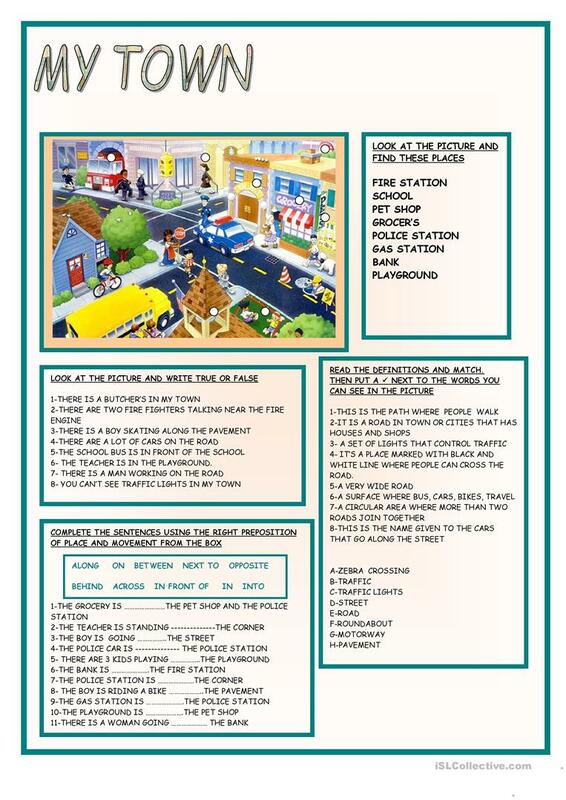 It is great for consolidating Prepositions and Prepositions of place in English, and can be used for developing your class' Reading and Writing skills. It features the vocabulary topic of City.